Five Islands in Paradise one hidden from the rest of the world. The Newest ship in Hawaii is also the Best. Rates starting $749 ...(more). 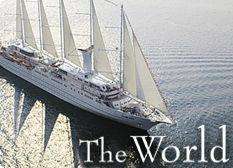 Windstar sailing in Costa Rica. 7 days roundtrip Puerto Caldera on Saturday to Saturday starting at unbelievable $1,849. 7-day Transatlantic Crossing on board Queen Mary 2 from Southampton, England to New York. 2011 schedule begins on May 17, 2011 to Dec 12, 2011. Price starting at $999 per person from either London or New York depending on Westbound or Eastbound crossing. Travel is one of life's great joys. But even the most carefully planned trip can be complicated by unforeseen events. Whether it's lost luggage. cancelled flights, or a medical emergency, an unexpected mishap can turn a relaxing vacation into a taxing experience. One of the best travel insurance can be purchase at a nominal cost online by click here. Join us and see once in a lifetime sights and our great service. 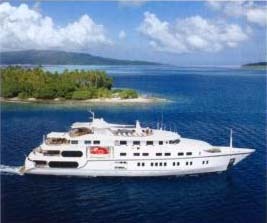 Windstar Cruises voted "Viewer's Honeymoon of Choice"
Kids sail free! 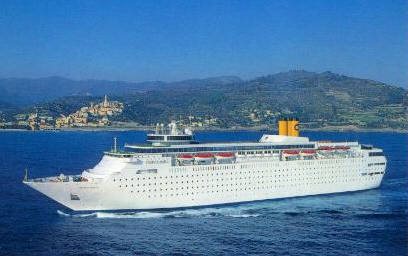 with 2 paying adults to Western Caribbean or Eastern Caribbean on Costa Magica or Costa Mediterranea. 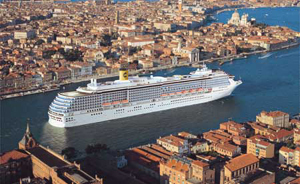 5 nights cruise starting at $299 and 7 nights cruise starting at $599. How to protect yourself on your next cruise? Here are 8 tips that can help.